You’ve probably heard of the General Data Protection Regulation (or GDPR). After all, it’s been all over the news for months. And while it may seem like a complicated process, we’re here to break it down to help you understand what it means for your organization. 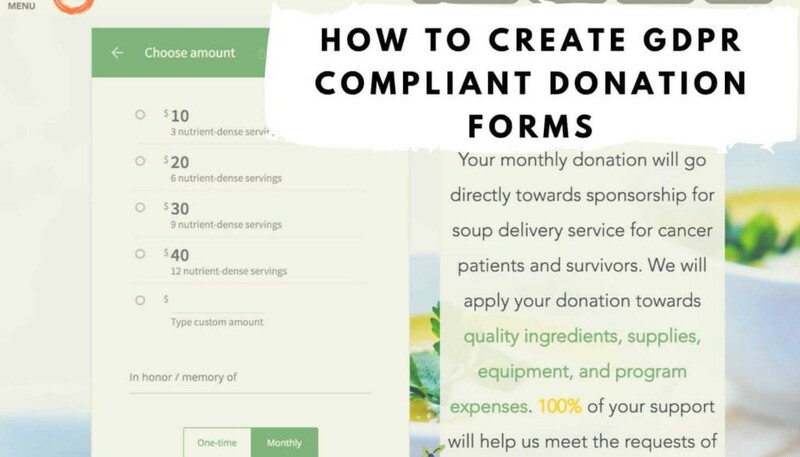 We’ll guide you through how to set up your donation forms to be GDPR compliant. The changes you need to make are much simpler than you’d expect! So, what exactly is the GDPR? The GDPR are a new set of laws that provides guidelines for the collection and processing of the personal information of citizens of the European Union (EU). Consent: Donors must freely give consent for the gathering and processing of their data and reserve the right to withdraw their consent at any time. Right to access: Donors have the right to access any personal information that has been collected from them. They can ask for confirmation whether or not personal data concerning them is being processed, as well as where and for what reason, and they can be provided with a copy of that data. Right to be forgotten: Donors can request that their personal information be erased. 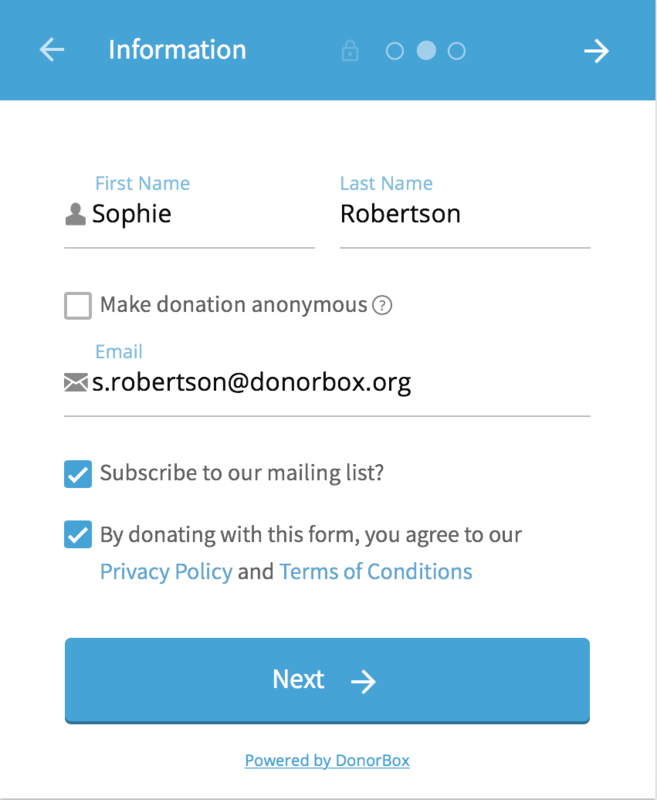 Why do I need to ask for consent from my donors to subscribe to my mailing list? In order to be compliant with the GDPR, your donor’s must be able to opt out of receiving your emails just as easily as they opted in. Additionally, to remain compliant, this option cannot be checked by default. And that’s it! Your new donation forms are now GDPR-compliant.